Nissan decides to build a brand. This is a wonderful commercial, it’s big, emotional and engaging. Before seeing it, I was certain that I didn’t want an EV, now I’m less certain, and I know for sure that I want to help that polar bear. I admit that this commercial makes me think about Nissan a little differently; I’m not yet convinced that the company stands for “Innovation for all” but it’s a start. Nissan has struggled over the years to establish a brand identity for itself. Automotive marketing history buffs can probably trace the issue back to the decision to change Datsun to Nissan in 1981. In 1986, after a transition period, the brand was officially Nissan. Since that time Nissan has struggled in the shadow of Toyota. 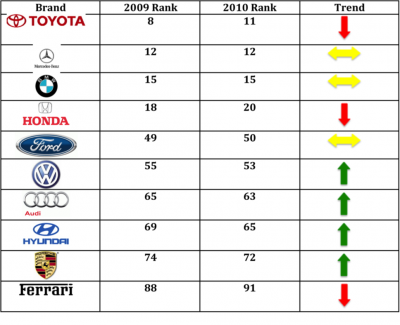 While Toyota steadily built a reputation for quality and reliability and smashed sales records, Nissan labored as the number two Japanese brand. Nissan’s brand identity has never been clear and I suspect for many people it’s an simply an alternative to the better established Toyota.